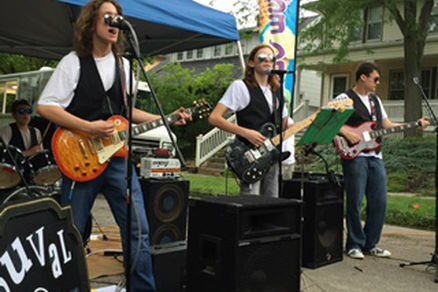 We are so excited to announce that Columbus’s Most Wanted Teen Rockers, W.U.V.A.L. will be performing at the 7th Annual Lifting Hopes 5k and Pump & Run on 10/2! W.U.V.A.L. will be playing at the event from 9:30-10:30 a.m.
Adain Andrews is 12 years old and is battling two chronic illnesses: Dysautonomia and Neurocardiogenic Syncope. 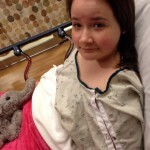 Adain and her family live in Rockford, Ohio and she needs to start seeing a specialist at the Cleveland Clinic. Adain’s family needs a vehicle to get her there. Our goal is to raise $7000 in order to buy a van (that can fit Adain’s wheelchair) so the Andrews family can travel to Cleveland. We are looking for a van that is eight years old or newer with less than 100,000 miles. 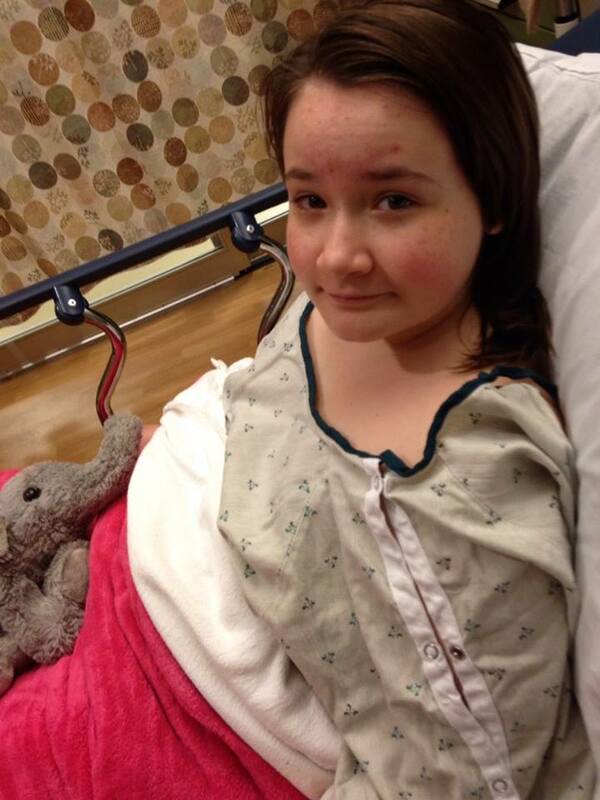 The sooner we can do the raise the better, as this little girl needs treatment soon as possible! If someone wants to donate a van we can take that too and use the cash to either repair the van or for gas cards. Or you can donate now by clicking the button below. All donations are tax deductible. Consult your tax professional for more information. The 2014 Pump and Run and 5K Results Are In! Thanks to the OSU Women’s Rugby Club, Soar Fitness, Fleet Feet, New Albany Realty, our Honorary Chair Tina Husted and all our sponsors, volunteers and participants for making our Fifth Annual Lifting Hopes a great event. Check out race results here! We hope you will donate to Chapel Hill House , this year the cabin is booked every weekend through the fall by families in Central Ohio battling cancer. Chapel Hill Needs your help more than ever. You can also make a donation the day of the event, or by sending a donation to Chapel Hill House, P.O. Box 499 Prospect, Ohio 43342. Help us make wishes come true for children in Central Ohio with Lifting Hopes! 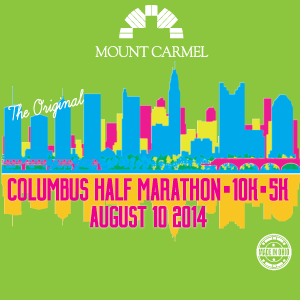 On Sunday August 10th, the Mount Carmel Columbus Half Marathon will be taking place at the Three Creeks Metro Park Sycamore Fields Area. There will be three race options: a 5k, 10k, and half marathon. The half marathon and 10k will start at 7am and the 5k will start at 7:10am. Each race is open to runners and walkers at any level of speed or experience. Participants will receive “swag bags” including a technical shirt, race number, coupons, and energy bar and beverage. 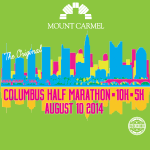 This race is recognized as a premiere training distance for those preparing for fall marathons. Prices start at $30, ranging up to $55 and all participants will receive medals regardless of their finishing time. Over 1000 runners and walkers are expected to attend! Announcement: We Added a CrossFit Challenge! We now have added a crossfit challenge to our Lifting Hopes Pump and Run 5k on Saturday, October 11th. The top man and woman performers will receive trophies and $100 Fleet Feet Sports gift cards! The top overall gym performance will be awarded a trophy as well as the winner of each age category of the Pump and Run and 5k. Proceeds benefit Lifting Hopes’ partnering organization, Chapel Hill House. Chapel Hill House helps give central Ohio kids battling cancer the opportunity to spend a relaxing weekend away at their very own log cabin with their family. Our 5th Annual Pump and Run 5K Honors the Military! This year, our annual Pump and Run 5K is going to be a little different than past years. Not only are we going to be raising money towards children battling cancer, we are honoring another group! We are honoring all those who are actively serving in the military or are veterans. We are welcoming members from any branch: Air Force, Army, Coast Guard, Navy and Marines. The first 25 military members to sign up will receive FREE registration! With July 4th coming up in a matter of days, it’s important to remember why we celebrate Independence Day and how lucky we are to have the freedoms that we do. Everyday, thousands of military members are serving and defending for our country around the world. Not only are they putting their own lives at stakes, they are sacrificing time away from their family and friends. We want to make sure all members of the military know how appreciative we are of them and how thankful we are for all that they do! Stretching is not only beneficial, it’s extremely important for athletes prior to exercise. First and foremost, stretching prevents injury to your muscles. Making sure you’re muscles are warmed up and ready to go cannot guarantee exclusion from injury but minimizes your chances. Stretching also can improve your flexibility. Being flexible makes you more versatile as an athlete and allows you to be able to perform exercises such as yoga. Apart from the physical benefits stretching provides, it also can relieve stress. Stretching can be a relaxing relief from a hectic day and can calm your entire body. Most stretches should be held for 20-30 seconds. Make sure you are breathing normally while stretching. Never bounce or perform sudden movements when stretching, this could lead to injury. Never hold a stretch past a feeling of mild discomfort.